Pret a Manger joined the International Top 25 this year, coming in at No. 22 with just over $1 billion (U.S.). The International Top 25 — the largest foodservice brands based outside the U.S. and Canada — had a strong year in 2017. As a group, they continued to outperform both their top 25 North American counterparts and the global foodservice industry overall. All but one of the 25 chains enjoyed positive sales growth in 2017, and the top three international chains — all Japanese c-store brands — posted collective sales gains of $3.1 billion in U.S. dollars, or 10.8 percent growth from the previous year. Here are five key takeaways on what sets this group apart, and which strategies work best on the global stage. The International Top 25 continues to be dominated by Japan-based convenience store chains. With an increasingly global footprint, these chains made up 52 percent of total sales among the International Top 25, and 69.2 percent of units. 7-Eleven had more than 63,000 global outlets in 2017, which is the most in the foodservice industry, and more than all McDonald’s units and KFC units combined. In addition to their own company strategies, growth of players like 7-Eleven, Family Mart and Lawson is driven by a growing interest from consumers for convenient meal opportunities, which these operations are well-positioned to offer. C-stores typically have a strong retail footprint in well-trafficked locations. Many c-store chains have leveraged their footprint to challenge traditional foodservice chains and many have made progress in recent years to improve the quality and depth of foodservice offerings. Coffee, in particular, is a chief draw, as many brands are offering higher-quality coffee at lower price points to challenge coffee shop competitors. Convenience stores are also modernizing formats to optimize the in-store experience with foodservice in mind, such as adding more in-store seating for dine-in meal occasions. Taiwan-based bubble tea chain Yiddtea joined the International Top 25 for the first time this year, leapfrogging several chains to take the 18th spot overall. Yiddtea falls in the street stalls and kiosks segment, a broad category that includes both the street stalls of traditional food markets as well as modern food halls and food trucks. The category is heavily independent, with chains make up just 11 percent of total value sales in the market. That said, chain street stalls/kiosks were the fastest growing global foodservice segment. In part, the segment’s growth is driven by the relative informality and on-the-go nature of these dining occasions. Growth was more directly influenced by the growing popularity of bubble tea in many key East Asia countries. Yiddtea, for instance, grew from just 300 outlets in 2012, to over 3,500 in 2017 to become the world’s largest chain of street stalls/kiosks. In mainland China, Yiddtea’s sales surged 86 percent in 2017 alone, and added 881 net new outlets in the market. Yiddtea operates kiosks in shopping malls and shopping centers, and is positioned for widespread appeal, popular with younger consumers and even white-collar office workers. 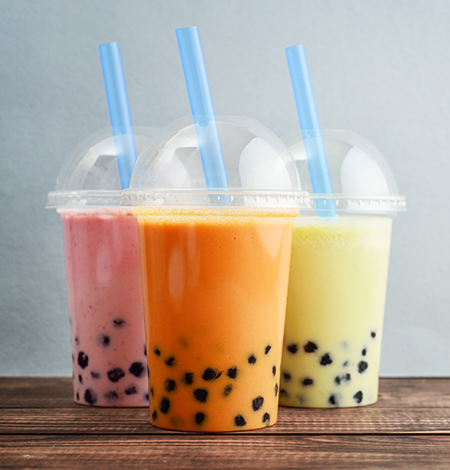 The bubble tea market is becoming increasingly competitive, however, as rivals such as the more premium-positioned HEYTEA chain speak to the growing maturation of the category and diversification of players in the market. IKEA’s foodservice sales have been on an upward trajectory for years, but sales growth was especially strong in 2017. Sales grew 9.4 percent globally to reach $1.8 billion in U.S. dollars, which is remarkable in that the chain has the fewest total outlets of any chain on the International Top 25. Growth in IKEA’s foodservice sales is a natural consequence of the company’s broader strategy to grow its retail footprint globally, but the chain’s foodservice offerings are also increasingly popular on their own. IKEA operates a self-service cafeteria style restaurant in each of the company’s standard retail outlets. Price points are value-oriented and encourage shoppers to rest, refuel, and remain in the store longer while shopping. The integrated foodservice and retail shopping opportunity is an important trend in brick-and-mortar retail. Foodservice can be a point of differentiation in brick and mortar retail, and a means to entice consumers into a store as opposed to shopping online. 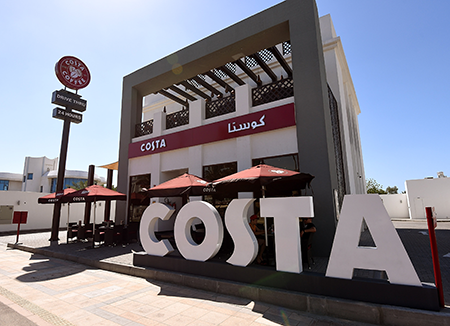 Costa Coffee slipped two places in the International Top 25 after a modest 2.2 percent global value growth in 2017. A key contributing factor is the increasingly complex competitive environment in China, Costa’s key international growth market. As an early mover, Costa helped influence and grow an on-the-go coffee-drinking culture in China. But the chain is beset by such competitors as Starbucks, which has aggressively targeted expansion in the market, as well as newer local players such as Luckin Coffee, which has added hundreds of stores in just the first year of operation. Luckin offers a modern coffee experience at lower price points and a strong digital platform that resonates well with local consumers. Costa Coffee, however, is expected to be acquired by Coca-Cola towards the end of 2018. Costa will give Coca-Cola a large global foodservice and retail footprint and a foothold in China, as well as experience in on-trade coffee. Costa meanwhile will benefit from Coca-Cola’s global reach and branding, while the chain’s Costa Express vending machines — another chief focus for the company — could benefit from greater integration with Coca-Cola products. The consumer trends that are fueling growth in the c-store foodservice segment are also fueling grab-and-go bakery chains like UK-based Greggs and Pret a Manger. Pret a Manger, in particular, emerged onto the International Top 25 this year, having leapfrogged to 22nd in the ranking with just over $1 billion, in U.S. dollars, in global sales from just 425 global outlets. This format serves as a more premium-oriented alternative to the offerings found in c-stores, while offering a similar level of convenience and distribution network of locations in high-trafficked urban areas where consumers need convenient, seamless meal opportunities. In this model, bakery products can be paired with coffee or a limited range of ready-to-drink beverages and other packaged foods. Seating is often limited or totally lacking in order to encourage the seamless, in-and-out dining occasions that many consumers are looking for. Greggs and Pret a Manger have a combined market share of 32.2 percent of the bakery products fast food category in the UK. Stephen Dutton is a senior analyst for Euromonitor International.